When the World Says Give Up Vinyl Wall Decal Just $3.65 + FREE Shipping! You are here: Home / Great Deals / Amazon Deals / When the World Says Give Up Vinyl Wall Decal Just $3.65 + FREE Shipping! 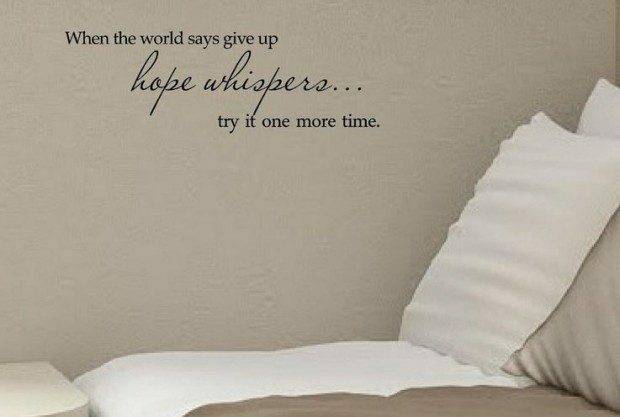 Head over to Amazon and get the When the World Says Give Up Hope Whispers… Try it One More Time Vinyl Wall Decal for just $3.65 plus FREE shipping! Can be applied to any hard surface…walls, mirrors, doors, or any other surface you can think of!